There are many horror stories of do-it-yourself epoxy floor coating jobs gone terribly wrong. The stories range from the coating never curing, strange chemical reactions between types of coatings, out-gassing with bubbling occurring, and blushing. The most common complaint is the floor coating lifting from the applied concrete surface. These issues do not only affect the “do-it-yourselfer” but can plague professional installers as well. When selecting a contractor to install your floor coating, be sure to consider their experience, length of time they have been in business, and warranty policy in case any problems occur. 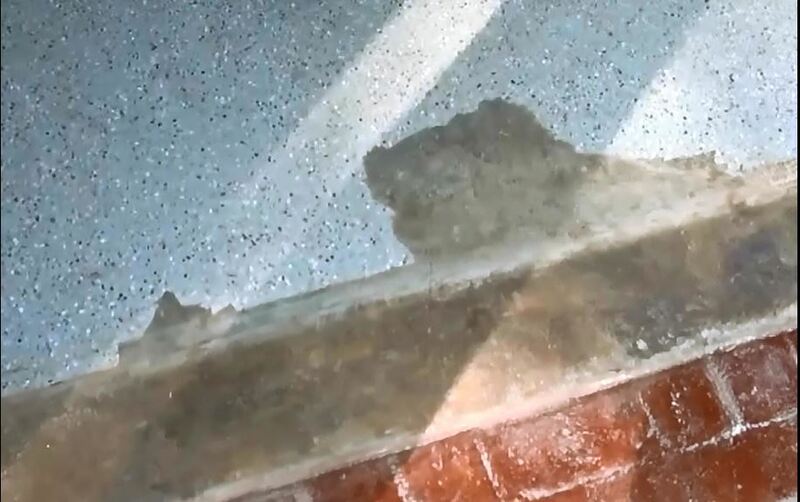 In this article we examine the common causes of epoxy coating failure and offer some tips to prevent this from happening to you. The key to proper application of any floor coating is the amount of effort taken to prepare the surface. There are several reasons why epoxy floor coatings generally fail and the first is related to moisture penetrating from below the surface. Concrete is a very porous material and will basically wick water to the surface where it evaporates. Since most floor coatings including epoxy are non-breathable, wicking moisture forms a hydraulic pressure beneath the coating causing delaminating. This occurs if your garage floor does not have an adequate vapor barrier in place or if it was damaged during construction. A moisture issue usually does not present itself overnight, but rather over time. Small or large bubbles may form as water beneath the surface builds. If you see bubbles in your floor coating, use a razor knife and cut a small slice in the bubble. Squeeze the surrounding area to see if water escapes to determine if you have a moisture related problem. For this reason always test your floor for moisture before coating! This is a simple process explained in this garage floor moisture testing article.